Set of 7 die templates. 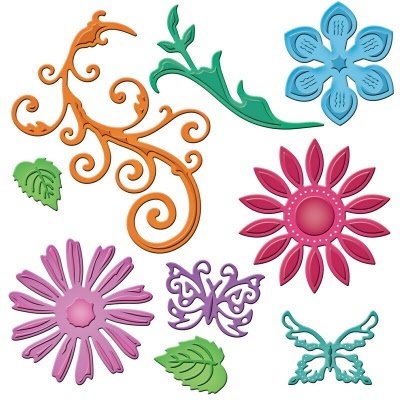 The Jewel Flowers and Flourishes set by Julianna Hudgins introduces a divine floral motif with swirls and butterflies. This set is perfect for storytelling, card making, accents for home decor, fashion and of Jewelry design. Enjoy creating!